Dazzling and exciting are the best words to describe this tour! We take you to Barra do Sana in a vehicle with air conditioning and bilingual guide. In about 1 hour we will be at the base of the Rafting, which faces the Macaé River, which is the state’s cleanest and most preserved river. 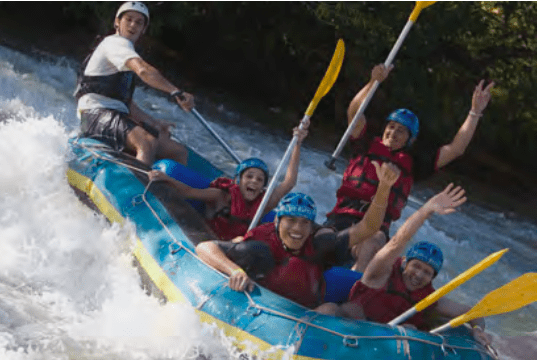 It is one of the best for Rafting, as it provides a descent of approximately 2 hours. You will have the facility to go down the river safely and contemplate the exuberant beauty of the Atlantic Forest, which is well preserved in this region.